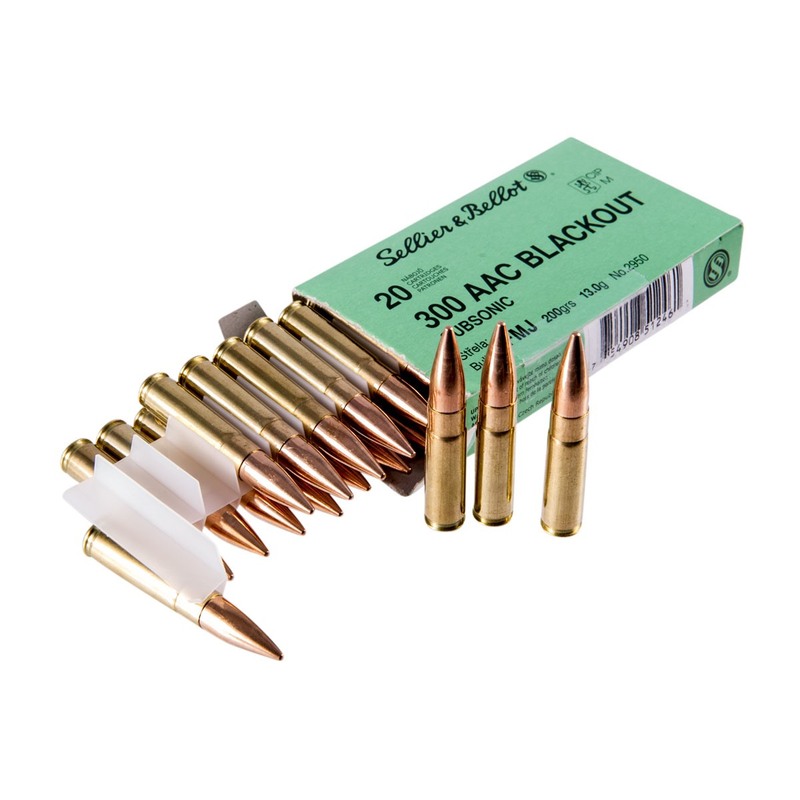 Sellier & Bellot's .300 AAC Blackout 200 gr Subsonic FMJ ammo is the correct round for getting maximum sound reduction from a rifle fitted with a sound suppressor. It’s an excellent all-around load for recreational target shooting, training, and competition with your silencer-equipped AR-15. When you’re looking for economically priced, high-quality factory-new ammo (not reloads!) 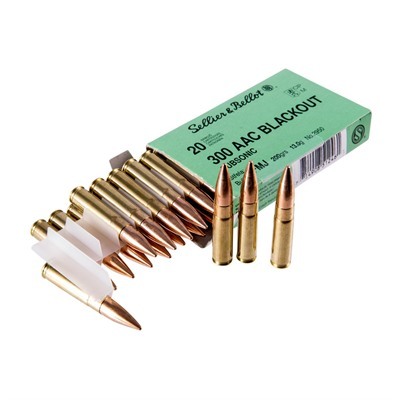 with superb performance, reach for S&B 300 AAC Blackout 200 gr Subsonic FMJ. 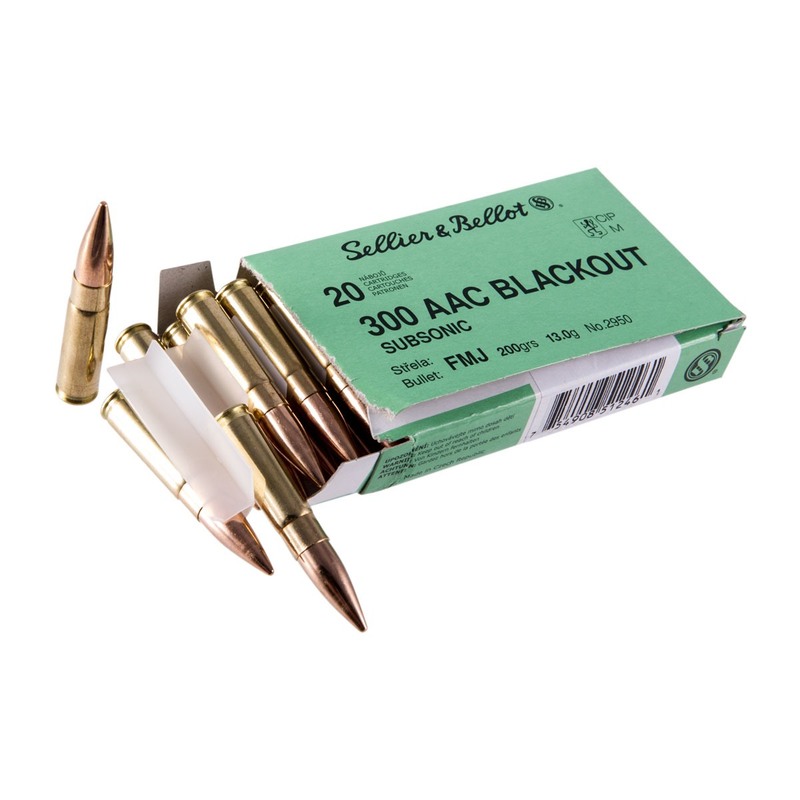 Manufactured in S&B’s state-of-the-art factory in Vlasim, Czech Republic, Sellier & Bellot 300 AAC Blackout 200 gr Subsonic FMJ is 21st Century ammo that will give you consistent, reliable performance from your Modern Sporting Rifle.